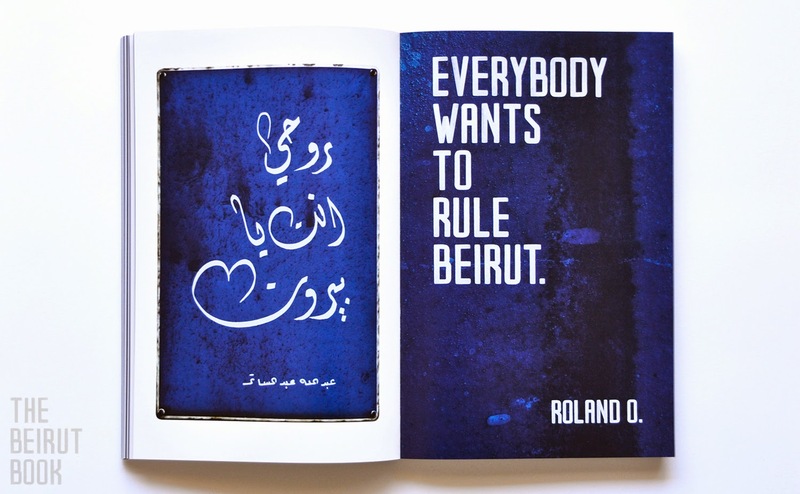 The (Long-Awaited) Beirut Book is OUT! A little over a year ago, I was at the Salon du Livre Francophone 2013 - where I met David Hury. I had been seeing fantastic typography posts online and wanted to know who was behind them. 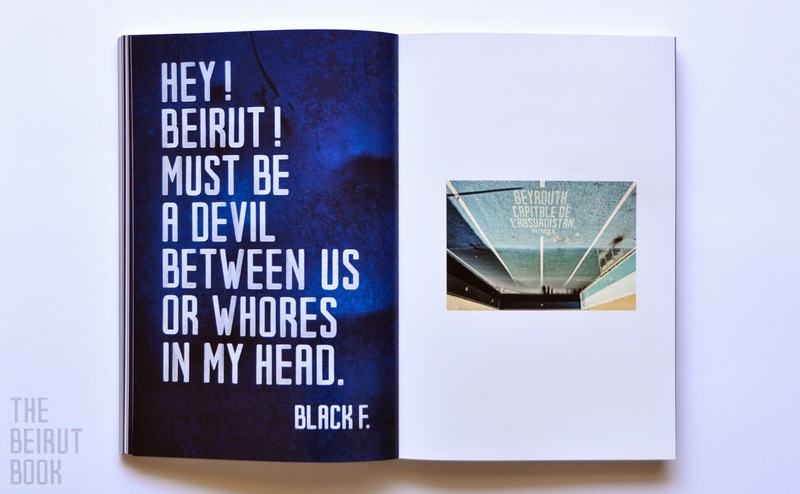 Turns out, they were part of a new series of posters by David for Beirut Prints, a collective of photographers that made beautiful Lebanon-related photography accessible and affordable (the posters are available at any branch of Librairie Antoine). I thought it ended there, so I reached out to David for a feature. In fact, I've asked David countless times for an interview. "Soon dear!" has been his response for the past year and I was getting impatient. I can't tell you how excited I am that the book is finally out. Part of me wants to pull out each page and stick it into a frame, but the rational part of me won't dare to. And yes, David has answered my questions! 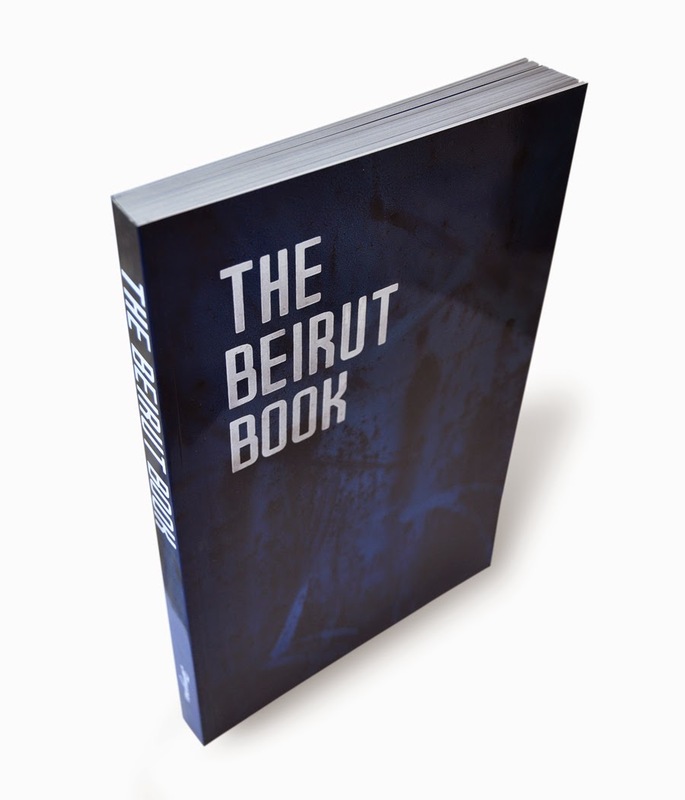 B: Can you tell more about the concept of The Beirut Book? 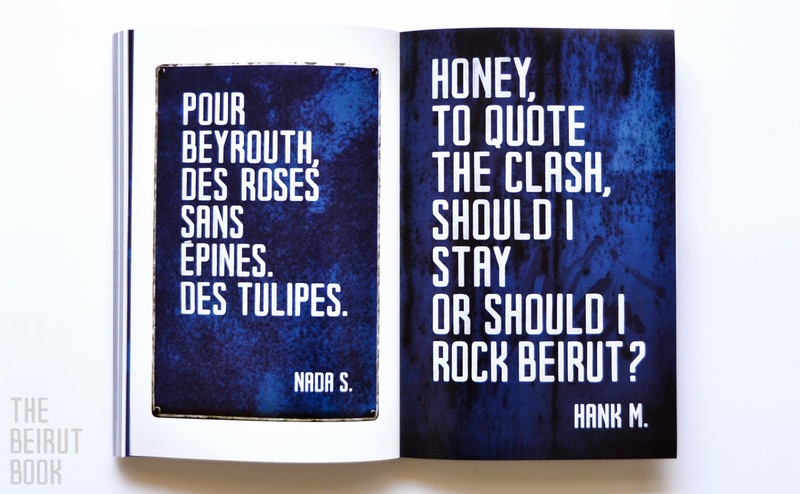 David Hury: The Beirut Book is a collection of illustrations mixing two things that I’m really fond of: the blue-enameled plates we can see on Beirut’s street, and words nicely put together. During summer 2013, I was listening to U2’s LP "The Joshua Tree" when I heard Bono sing "Where The Streets Have No Name". I felt like his words had been written about Beirut. I decided to use this sentence. 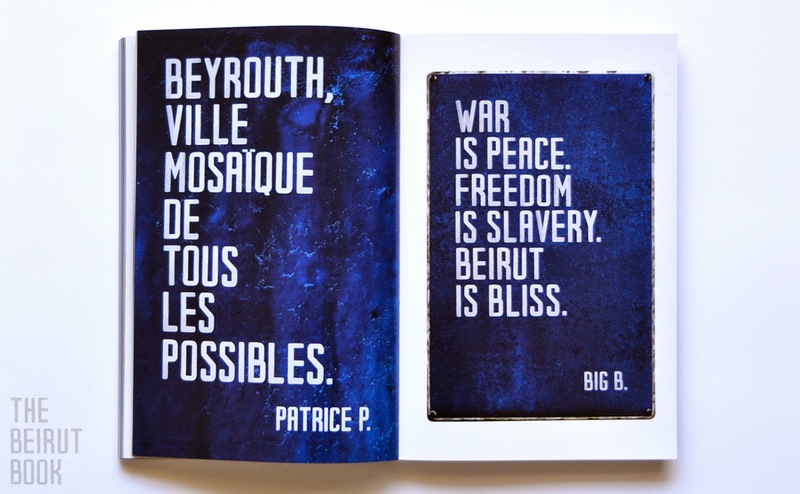 Two years earlier, I designed Beirut Prints’ logo according to the same blue plate you can see at every street corner, and especially the one mentioning "Impasse". Using Photoshop, I redesigned every letter of the alphabet, using only the A, E, I, M, P, S letters. It was quite challenging, but since I've cherished typography for a long long time, I spent hours to build my alphabet. Later, I did the same with the Armenian one. So, putting letters together, one by one, layer after layer as letterpress leads, I wrote the very first sentence, "Beirut Is Where The Streets Have No Name". Then, having my 26 letters ready, numbers and some symbols as well, I designed around 20 sentences like this. 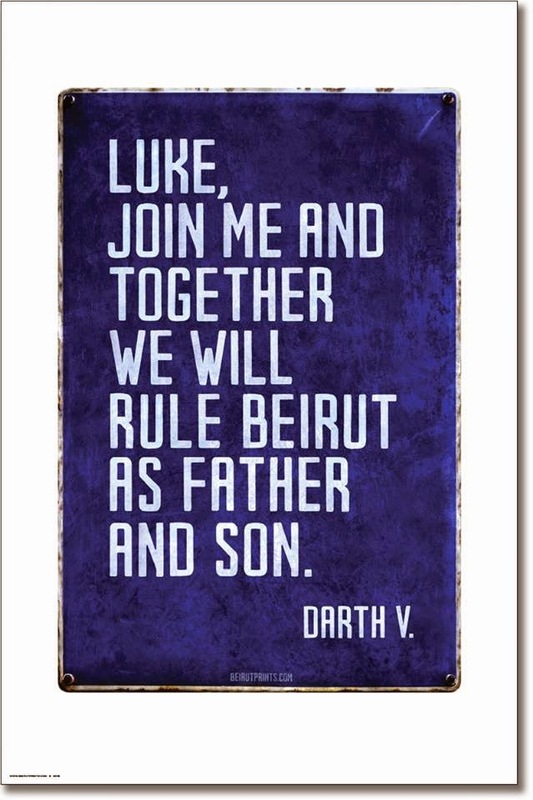 The idea is quite simple: twist the phrasing of a well-known quotations to include the word "Beirut". At first, I pick quotes from movies, books and songs that I like. 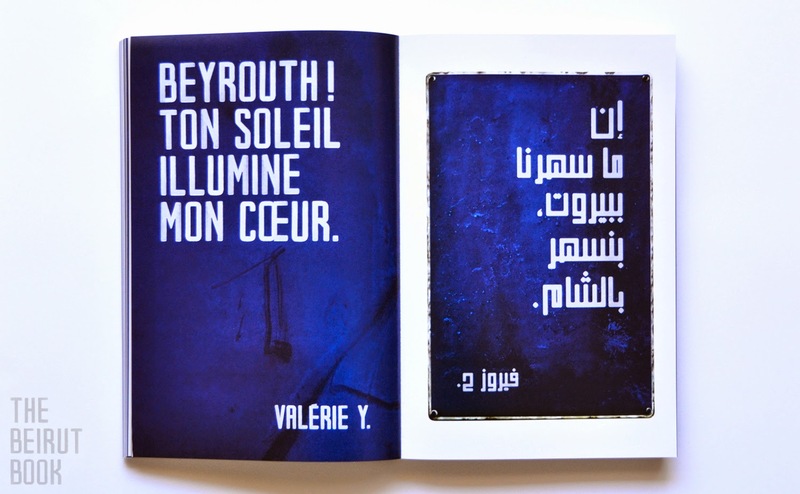 One day, I showed these designs to a friend of mine, Melkan Bassil, one of the Beirut Prints photographers. He was enthusiastic! So I kept "manufacturing" new fake quotations. A few weeks later, the idea was re-imagined as an interactive activity during the book fair, Salon du livre Francophone de Beyrouth. Visitors were able to try their hand at the exercise, writing on A3 pieces of paper hanged on a wall. In ten days, more than 300 people had taken part in this game. Authors, passers-by, children… It was a fantastic experience! 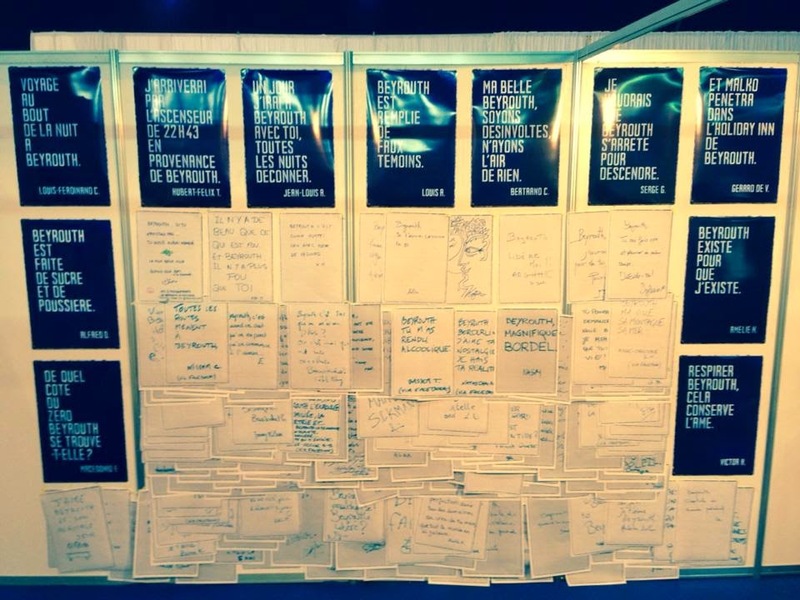 The last day, I took a picture of this wall plastered with pieces of paper and blue ink. Next to my booth was the Tamyras one, a Lebanese (and quite active) publishing house, managed by Tania Hadjithomas Mehanna. I've known her for 14 years now, and we agreed on one simple thing: we had to make a book about it! B: How long have you been working on it? DH: A long long time! Even if it’s not a full-time job, I had this project in mind constantly. Right after the book fair, I sat in my living room, reviewed all I received during those10 crazy days, and made a selection. I kept around 125 sentences. I spent hours to "write" them, letter by letter, on Photoshop as the font I used does not exist on any computer. 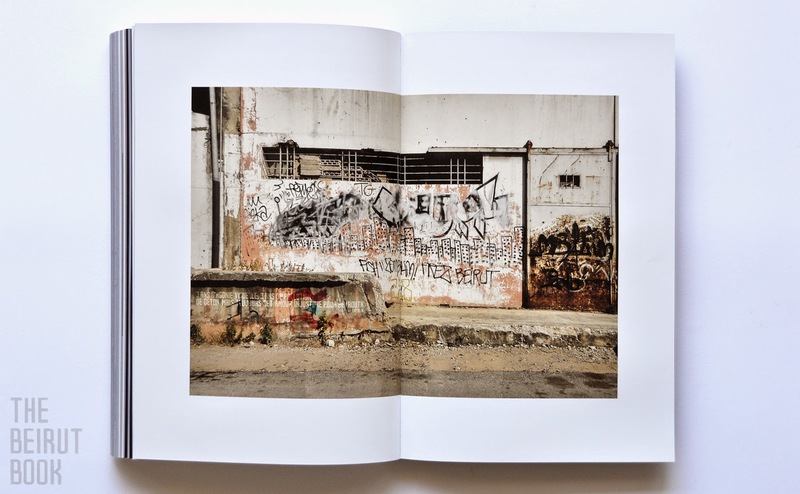 I also used some photographs from my archives which fit really well with some sentences and incorporated them in my pictures as there were tagged or written on Beirut’s walls or houses. 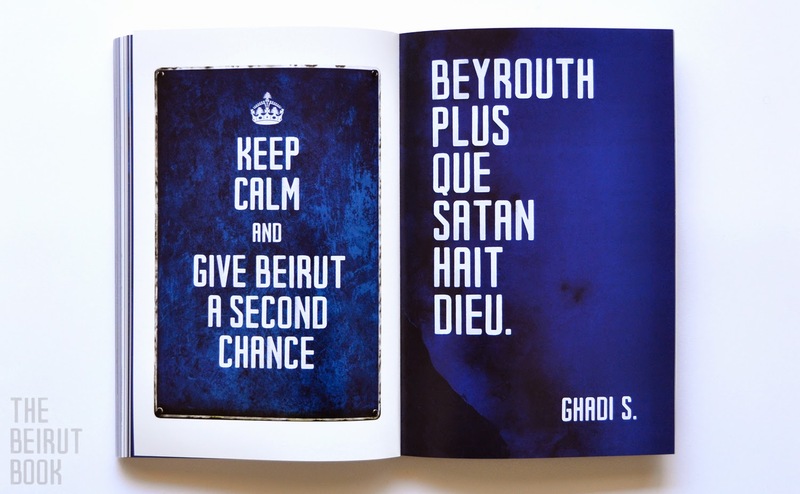 Visually, The Beirut Book is mainly blue with some photographs (full-page or spread) which put a rhythm in it. 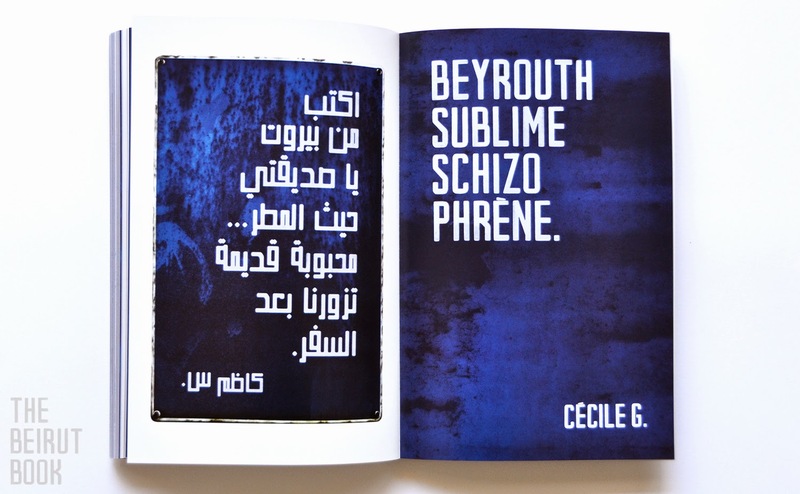 Last Spring, I asked Celine Khairallah, a Lebanese designer (who runs Scene Beirut) to create a font in Arabic specially for my book. 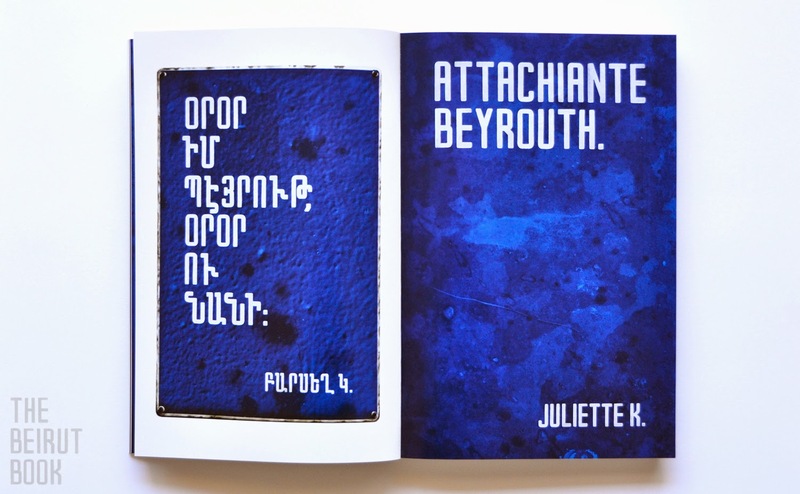 A few weeks later, she came up with a beautiful Arabic font called "Rayya Kufi". I’m really proud of her work. 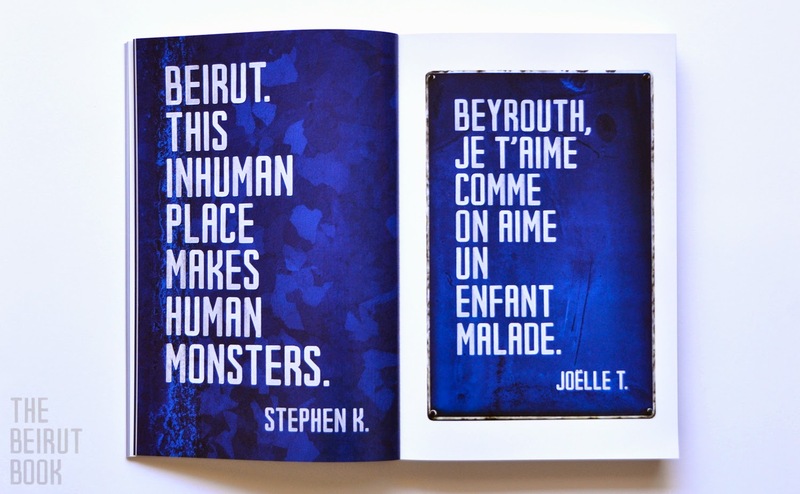 How many languages are in The Beirut Book? DH: As I said, the very first designs were in English. Then, I used French (my mother tongue) because of the book fair. But during the book fair, people asked for permission to use their own languages. So I got Arabic, Armenian, Swedish, Croatian, Russian, Dutch, Italian, Spanish… Finally, this diversity is in Beirutis image. Pick a page. One page. Quick. Which one? DH: "Beirut. This inhuman place makes human monsters." Inspired by the master of horror, Stephen K. So true, isn’t it? 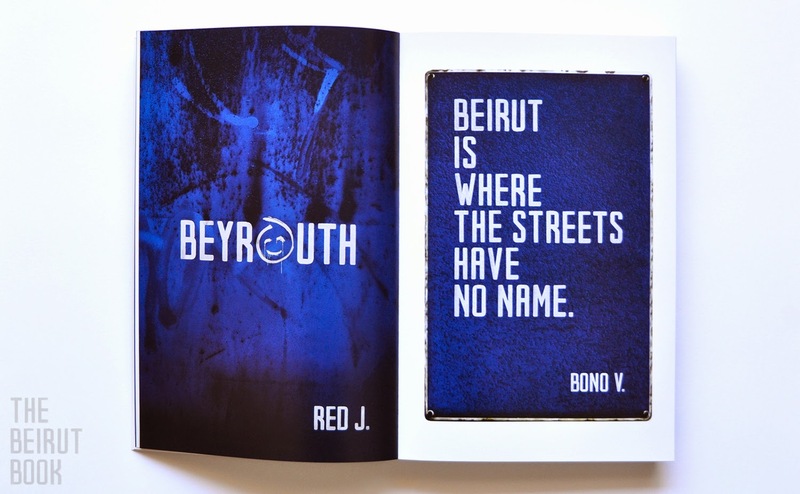 In a world of sequels and beyond, will there be a Beirut Book sequel? DH: Two kinds of sequels I hope. The first one will still concern Beirut as I’m currently looking for a way to produce 40x60cm enameled metal plates with these sentences. I have a crazy idea in mind: to hang them on Beirut’s facades. But for now, I still haven’t found anyone in Lebanon able to produce them, and believe me, I looked everywhere! It needs a specific know-how, it’s cooked in an oven… And the last guy who still works this kind of thing can only cook very small sized plates, as the one with building’s numbers. 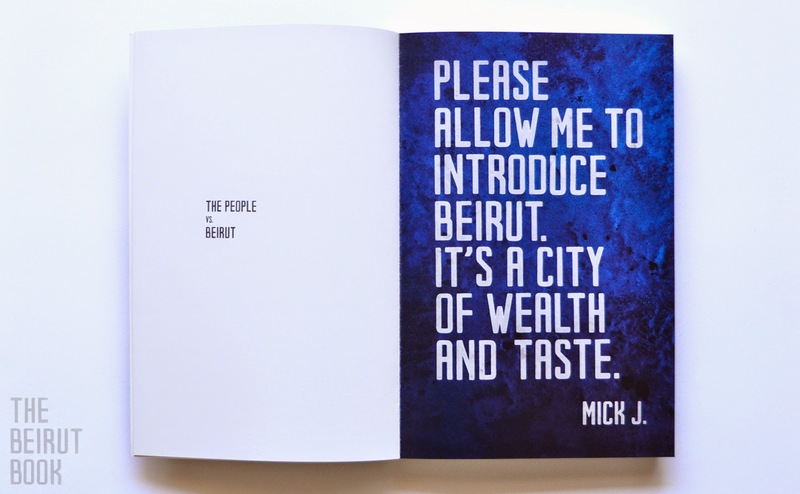 The second sequel I will work on is the same concept about other cities, starting by Paris and New York: using these cities’ graphic identities as I did with Beirut’s, and creating quotations as well. 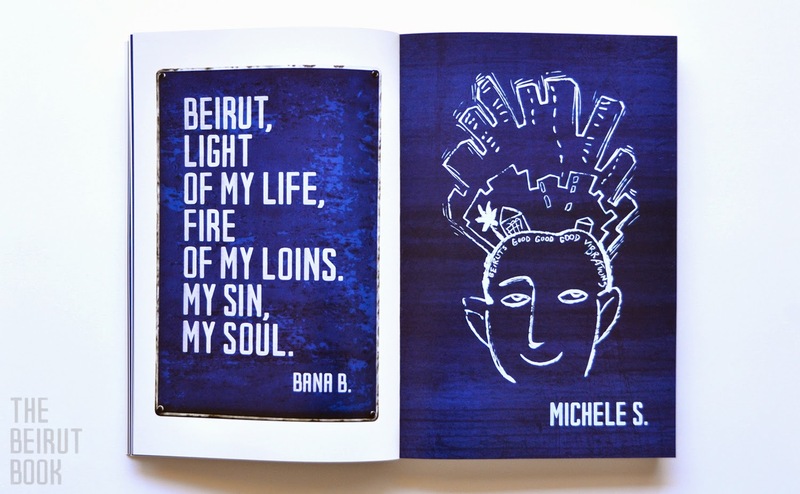 The Beirut Book is available at all major bookstores in Lebanon. You can also order it online.